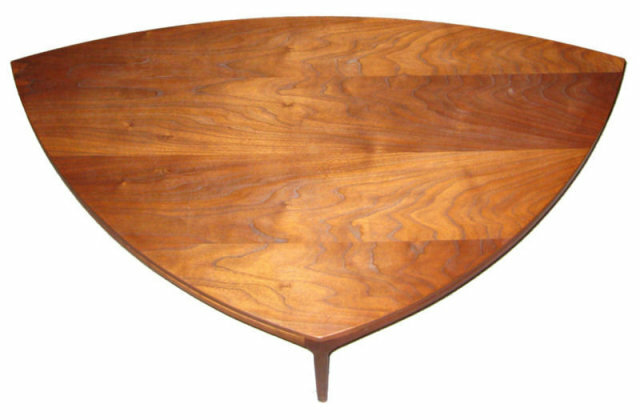 This unique vintage coffee or cocktail table is crafted from solid walnut and features a triangular shape with gently curved sides. It is pictured here with our vintage sofa attributed to Edward Wormley for Dunbar (available separately) which has the identical curved profile. 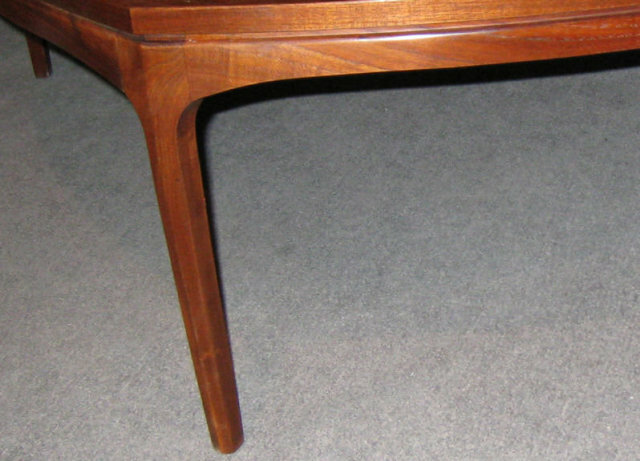 The table measures 54" wide, 29" deep and 15" high. 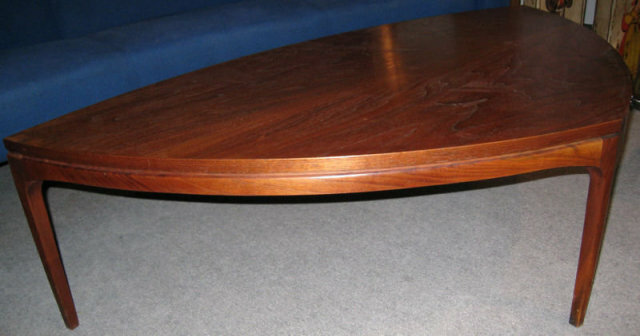 We believe this table was designed by Johannes Andersen for CF Christensen of Silkeborg Denmark. Additional images forwarded upon request. 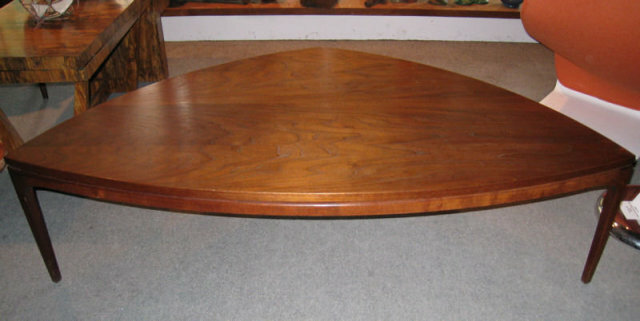 Items Similar To "Mid-Century Johannes Andersen Danish Coffee Table"